Join the We Are One Tournament to commemorate the 23rd anniversary of the Srebrenica genocide. 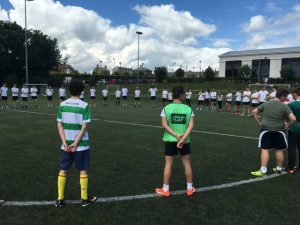 The We Are One football tournament will unite young people across Britain playing football in memory of the over 8,000 men and boys who were killed in the Srebrenica genocide. In taking part, you will score a public victory against hatred and intolerance in the 23rd anniversary year of Srebrenica. 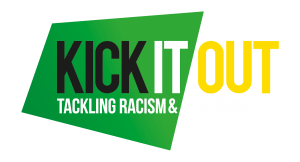 Supported by Asmir Begovic, the FA, Kick it Out and the ESFA, we invite schools and youth groups to participate by holding a football match or tournament on Friday 13th July 2018 to join thousands of others across the UK standing up to hatred and intolerance. All participating groups will receive free resources including the Remembering Srebrenica book, stickers for all participants and a short explanatory speech to be read out before kickoff. 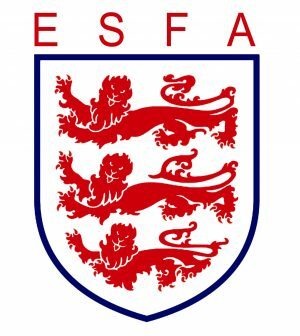 We ask that a minute’s silence is held before the match to remember the victim of hatred but beyond this broad framework individual schools can tailor the event to your requirements. 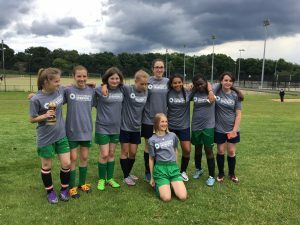 Sandhurst School hosted the flagship Srebrenica Memorial Football Tournament of 2016. They invited three other schools to take part in the tournament with boys and girls teams competing for each school. The tournament was preceded by an informative assembly and minute of silence in memory of the victims of the Srebrenica genocide. Thomas Hardye School in Dorset had over 100 students playing in the mixed team match with a further 800 students and staff watching. Students played in white and green to represent the Srebrenica flower and a minute of silence was held before the match with students standing to represent the Srebrenica flower. 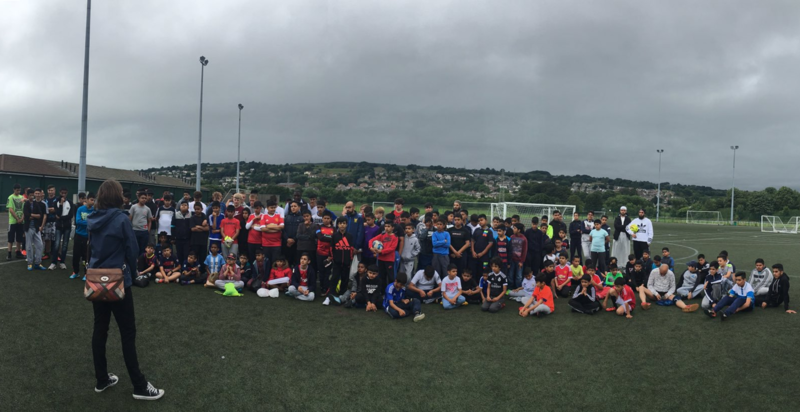 Bradford and Keighley supplementary schools participated in a large tournament which involved young people in three age groups competing. 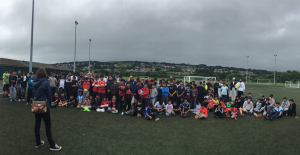 Matches were organised by Cohesion Bradford and all players enjoyed a BBQ dinner after the tournament.